Little Passports: Blast off to World Space Week! World Space Week is here! It runs from October 4-10, and it celebrates the launch of Sputnik 1, the first human-made satellite, into space. 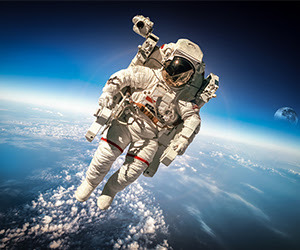 Space agencies, schools, museums, astronomy clubs and planetariums around the world will be hosting their own space-themed events to celebrate. But you don’t have to attend a World Space Week event to join in the intergalactic fun! Instead, blast off to World Space Week with Little Passports and these stellar activities you can do from home! 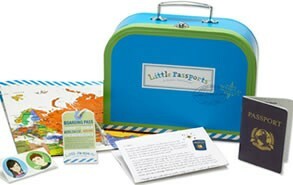 Whether you have big travel plans for the summer or no plans at all, Little Passports is your perfect summer sidekick! 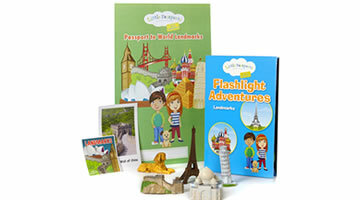 Little Passports has three amazing subscription options, USA Edition for 7-12 year olds, World Edition for 6-10 year olds, and Early Explorers for 3-5 year olds. Each subscription includes monthly packages that are packed with activities to keep your kids reading, creating, learning, and discovering all summer long! Make this summer unforgettable for your little Adventurer! Shop Little Passports’ Exclusive 2-day Early Bird Sale Today. With the Early Explorers Edition kids ages 3 to 5 experience monthly adventures of animals, music, souvenirs, stickers, and more! With the World Edition kids can experience a month full of adventure, following characters Sam and Sofia as they embark on each new country adventure. The Explorer Kit arrives in a suitcase and contains everything your child needs: a letter from Sam and Sofia, a map, a passport, stickers, access to online games and more! The USA Edition will feature the experience the wonders of all 50 states! The Discovery Kit which includes a letter from the characters Sam and Sofia, a USA Field Guide, a USA scratch book, a map, and a camera! This kit will allow your child to travel to two new states every month! Within each kit will be a activity-packed travel journal with stickers, postcards, pop-out models and access to online activities! What do you think about Little Passports?